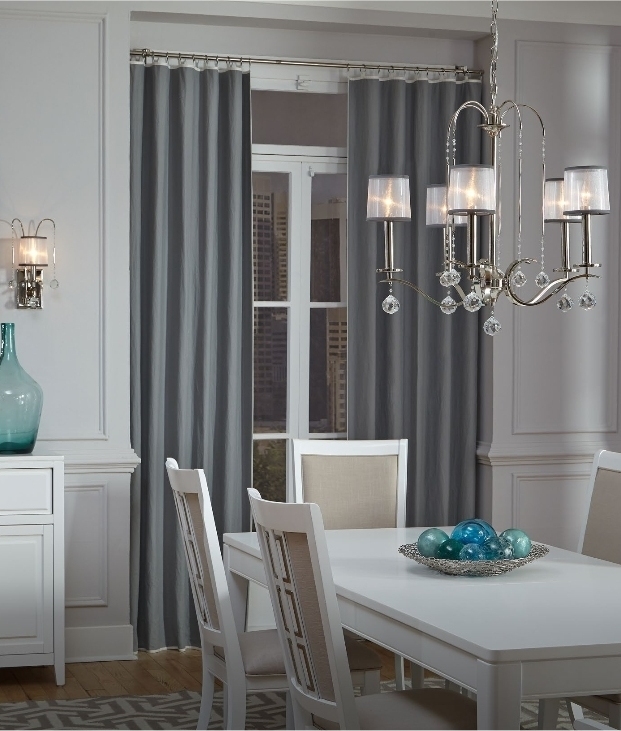 These chandeliers feature classic styling but with a modern twist. 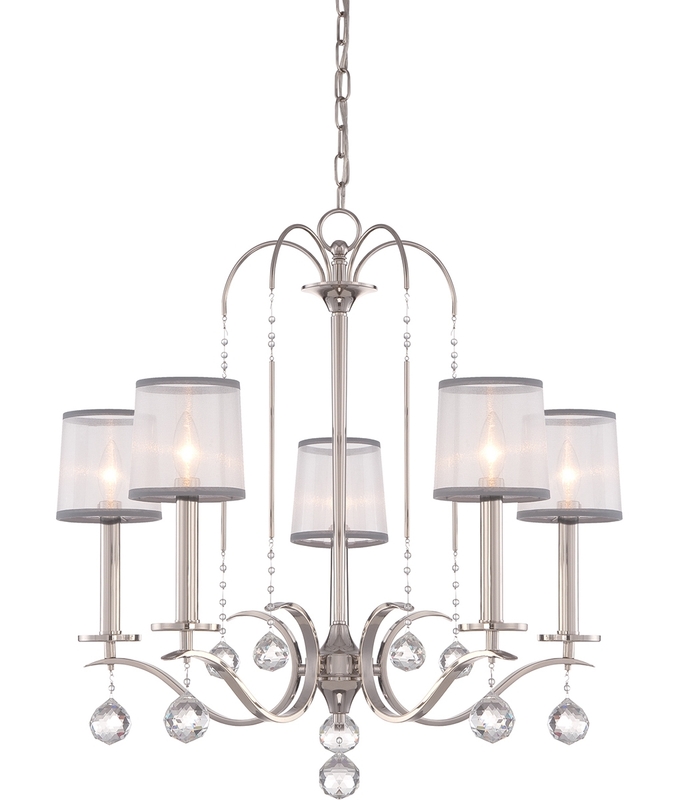 Finished in silver (high polished chrome) they feature hanging crystal balls and organza shades with a silver band. 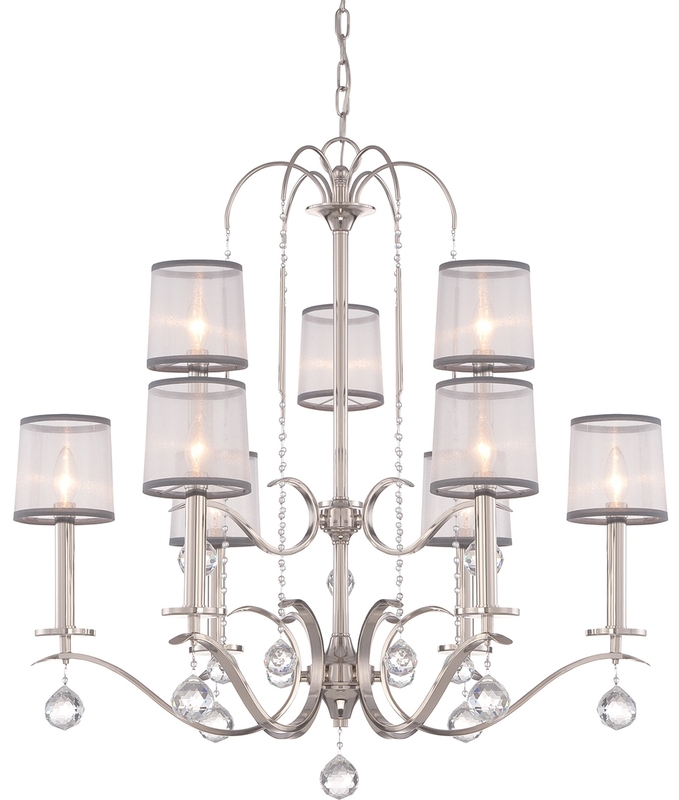 Featuring a matching wall light and semi-flush fitting these chandeliers are glamourous and stylish for the home and would look great in a living space, above a dining table, hallway or foyer. Hung with a chain link suspension this can be adjusted at time of installation to suit your ceiling height. The ceiling rose is round and the same finish as the chandelier. Designed to take mains E14 lamps up to a maximum wattage of 40w, decorative candle lamps may be your preference as they can be viewed through the semi-translucent shades. Can be dimmed if required. See separate listings below for wall light and semi-flush fitting.